Everybody has a bad day ... but you don't want to be at the doctor's office when SHE's having a bad day. Of course the first thing they always tell you is YOU SHOULD LOSE WEIGHT. Like I haven't been TRYING since June without a lot of success. The fact that I have hypothyroidism makes it difficult to get my sluggish metabolism moving. Maybe it was my fault we got off on the wrong foot because when she then launched into a pitch for Medifast--and I was not interested in listening. Yes, sign up with her link, and she gets a kickback for everything bought. But it comes down to this: It's portion control with processed food. I've been down that road before with Nutri-System (several times). Starved, lost weight, and then when I stopped, I immediately gained it all back, and then usually 20+ pounds. I'm done with that route. It's not just my not-so-humble opinion, but processed food is how we have become a nation of obese citizens. Yes, it's easy and cheap to eat the stuff (tastes pretty good, too), but it's killing us. Since I saw the documentary Fat, Sick and Nearly Dead, I started juicing once a day (and I've now switched to smoothies because I want the fiber from all those fruits and veggies, too. I've replaced my juicer with the NutriBullet). She admitted that smoothies (via the NutriBullet) was an excellent way to get your cholesterol down (it's the fiber that does it), but when I told her what I eat: lots of veggies, salad, lean chicken and pork, very little fat, her reply was: "You're obviously not doing something right." If nothing else, the juicing/smoothies give me a lot of good nutrition. Hey, it couldn't be easier to get your five fruits and/or veggies a day in one hit. And I must admit, since I've been doing it, I feel great. Yup, everybody is entitled to a bad day, and I'm willing to give her the benefit of the doubt. But I also don't like to be treated like I know nothing, and my efforts are worth nothing. I left her office with a bad taste in my mouth and it hasn't gone away. P.S. I found this on Pinterest and it really spoke to me. Yes, exactly like that. I'm sorry. You're right about the fiber. We need it. You know you're healthier now, so hang on to that thought. Forget that doctor's snide comment. Doctor's don't know everything Lorraine, as long as you feel good and like what you are eating/drinking, I think you should follow your instincts. What an unprofessional doctor. "you obviously aren't doing something right"?!! Excuse me? I'm angry on your behalf, Lorraine! Have you been seeing this doctor long, or is this a new relationship? If it's a new relationship, you may want to think about changing doctors. If this is an anomaly, and she doesn't usually act like this, you can give her a pass. I was curious about the juicing you do..where do you get your smoothie recipes? Are you following a certain regimen or diet? I've been thinking about juicing, but I don't know where to start. Thanks. Wow. . .she was way out of line. You can give her a pass if it feels right. I really believe your instinct is always right. It tells us when something or someone is out of line. As for your regimen-----you're preaching to the choir, girl. :) I've posted about nutrition here before and I also found out how great protein & fiber smoothies were for my body. A--men. How unprofessional! I would have got up and walked out right then. I would do some shopping for a new doctor. I would find a doctor that will at least listen and give you some options rather than snide remarks. I think the worst thing that ever happened in the medical industry, is that the doctor's get's kickbacks on what they prescribe. You are not getting what is best for you, but what is best for their pocket. I think if you feel good, that is the main thing. Everyone else said everything I'd say. I'd consider a new doctor too. Particularly since she appears to be shilling for a program. And I agree with following your instincts - does your skin look good? How are your nails growing? How's your energy level? Well then, keep doing it. If I could, I'd like to make a pitch for Weight Watchers. You can do it online (hell will FREEZE OVER before I ever get on a scale in a roomful of people; I like to do my weigh-ins naked, in my closet, on Tuesdays) and you can eat your own food. It's taught me how to make better choices and eat in the real world. I do eat the WW products, because I like them, but the program is designed to drive you to eating right with emphasis on fruits and vegetables. Whatever your choices, good luck. Had a similar experience, found a new Doctor. I'm in the same boat-hypothyroid, slow metabolism. I've gone to cutting out all sugar, gluten &restricted carbs. It is coming off very slowly. I do feel better. I'm going to a naturopath. He has been more helpful & supportive. I think I'd like to have a doctor encouraging me & on my side. What Anonymous said. I had a rheumatologist with such a rough touch she caused me unnecessary pain. Bye-Bye. You should file a complaint with the medical ethics board because she tried to prescribe a treatment which is in her financial interest and not in your health interest. That's unethical. I must have spoken with her on a bad day. Usually she's more encouraging. I've watched Fat, Sick, and Nearly Dead about 12 times, and I always come away feeling inspired. But I need to lower my cholesterol, so I changed from juicing to smoothies. I still use the basic Green recipe; spinach (because I cannot bear Kale), apple, carrot, cuke, celery and half a lemon, but I also add oatmeal, sunflower seeds and or pumpkin seeds (but they're kind of bitter, so once I use them up, I won't buy more). Going to try Flax seeds as soon as I can get to the natural health food store. One thing's for sure--it's FILLING. I'm down 9.5 pounds and would LOVE to lose more. This time of year, though, I'm fine with maintaining. I've cut out most bread (but I did have stuffing at Thanksgiving--OMG it was good), I rarely have sweet stuff. I eat a LOT of salad (with low-cal dressing, and not much of it--I also water it down, because I don't like a thick dressing). I don't buy sweets, chips and other snacks. I rarely have dairy (but do drink soy milk). I have done Weight Watchers online, and it was the best "official" diet I've ever been on. I still calculate what I eat in WW points. Once you know the drill, you really don't need to be on their official site. I find the food diary the hardest thing to stick with. Kick her to the curb, Lorraine! Sounds like she is not a good fit for you. We all have to find what works for us and the processed food and diet food is a big cause of health issues, for sure. I know that the misbehaving thyroid can cause a lot of grief. Just ask my Victoria! We think you look great and we are VERY jealous of your energy levels. You are obviously doing something right. I might be overweight but I go to Curves as much as I can. Which is normally 5 days a week when they are open, less because they close on holidays or if weather is bad. I get a chance to be with other women of all sizes and get out of the house. The best thing is that Medicare Advantage plan pays for it as long as you go required number of times in a month. I asked plans I was considering if they had silver sneakers and if Curves was on their list before I changed companies. I am a little afraid of what changes will come with the new year but we'll see. I had a very similar experience six years ago. The doctor was literally screaming at me to lose weight before I had a heart attack. I was almost in tears. Like you, I left with a bad taste in my mouth. By the time I got home I was so angry I called her office and advised I would not be coming back and should not have to except that type of treatment. After all we are paying these doctor's salaries. I found a new doctor who is wonderful. I explained the episode with the other doctor and advised if he was going to be getting loud or berating me to lose weight to let me know up front so I did not waste my time. I know I need to weight and like everyone else have tried many diets, etc. The new doctor looked at me with very kind eyes and said "I will help you but you have to help me help you." So glad I found him, my husband goes to him also. He saved my husband's life. I agree that we all have bad days but to just say you are doing something wrong and not offer help is very unprofessional. It sounds like you are on the right track with your juicing and cutting out breads. Keep up the good work. I am 55 yrs. 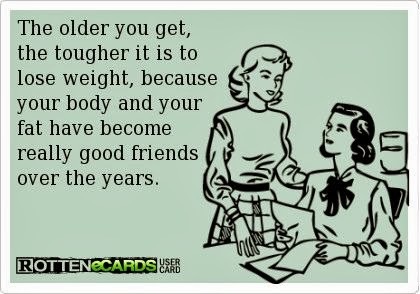 old and can tell you it definitely is a lot harder to lose it when you get older and after menopause. Like you I am just trying to stay away from the processed foods. My goal is not a number on the scale as much as just being and feeling healthy. Be well my friend. I can understand how she feel in this condition. May be this is because I also had weight/fat problem 5 years before. But now I am fit. Exercise and proper healthy diet is very necessary for the health. This is a first - I've never blogged before; but your "story" is so much like my own. Here is what I have done - first I do all of my own research. Several years ago, I told my Dr. that I wanted REAL Armour thyroid because I came from nature not a lab. Now, I use only natural hormones, D-3 and I have found that I have Celiac Sprue disease. Removing all gluten from my diet has made a major difference in my life. I, also, keep a spread sheet of my blood tests - thyroid levels influence cholesterol levels. Those of us from WNY have a propensity for low-thyroid and SADD, therefore I keep a watch on the thyroid and D-3 levels. I'll take my soap box and leave now. And everyone wonders why I avoid drs like the plague! Too many comments like this and it makes people say "To you know where with it!"